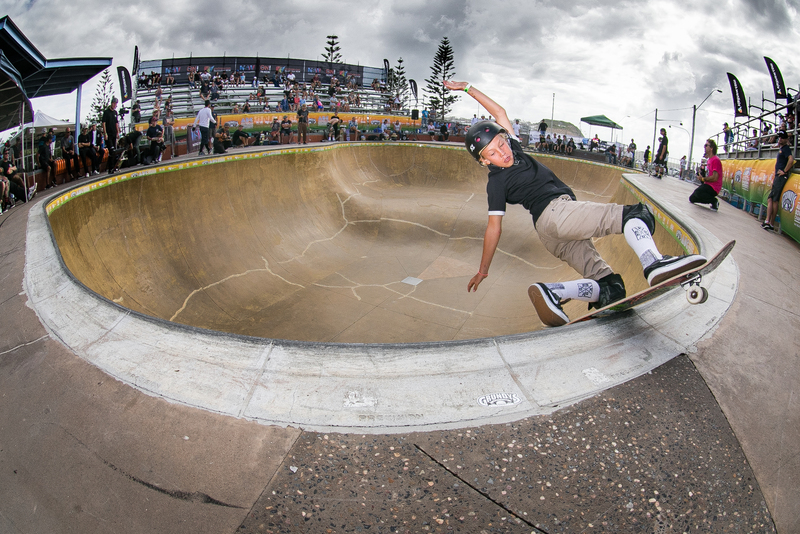 Following the biggest BOWL-A-RAMA in history the weekend before, the Australian Bowl-Riding Championships had a lot to live up to in 2017. And this year, as always, the ABC contest proved itself as much more than just a sideshow. 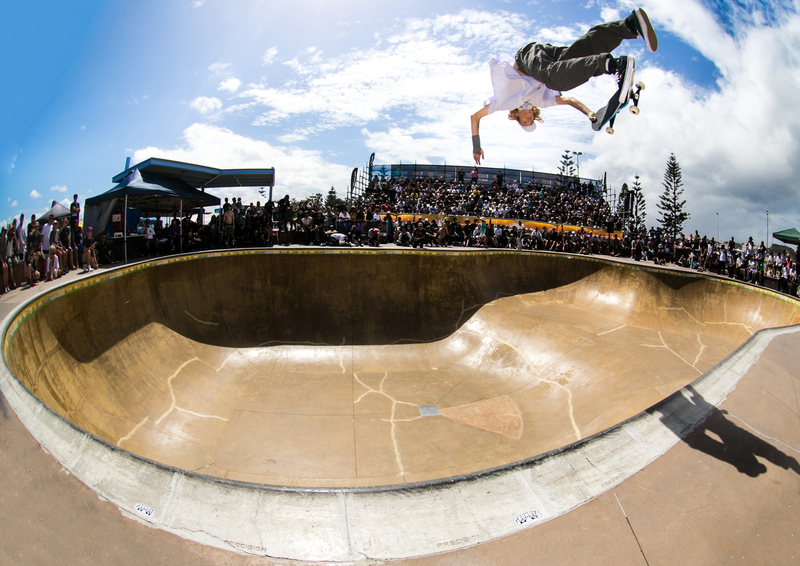 The best lineup of skateboarders in ABC history made the trip to Bar Beach in beautiful Newcastle, a couple of hours north of Sydney, and put their bodies on the line throughout a contest to remember. 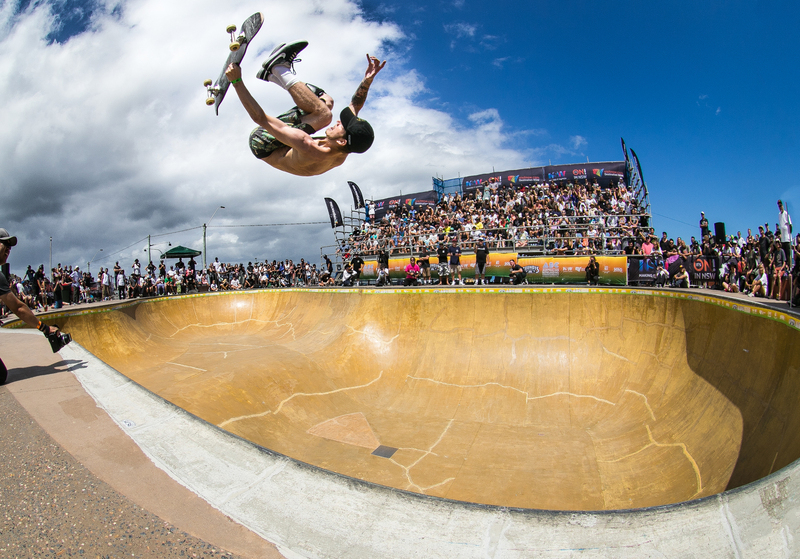 After blowing away crowds in Bondi the week before, Clay Kreiner and Ivan Federico each flourished in the larger Bar Beach bowl. The two padless warriors traded blows in the Pro Division, backed up by top drawer performances from the likes of Sam Beckett, Jono Schwan and 13-year-old rookie Keegan Palmer. It culminated in the closest final in the history of the event, as Clay notched up an unbelievable kickflip body varial 540 on his final run, only to be eclipsed by a flawless last-ditch performance from Federico. It truly was a sight to behold. One of the biggest talking points of the event, though, was the performance of 13-year-old Aussie prodigy Keegan Palmer. The youngster was competing in his first ever pro event, having taken out the Junior Division at BOWL-A-RAMA just days earlier, and quickly established himself as a genuine contender by qualifying first for the finals. While he wasn't able to repeat his heat heroics, the pint-sized Queenslander scored 4th overall, the highest ranked Aussie, earning him the title of Australian Bowl-Riding Champion for 2017. 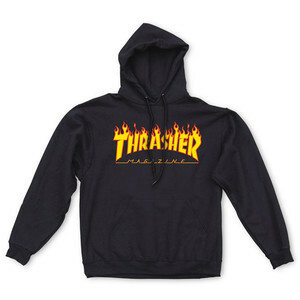 Ripping! 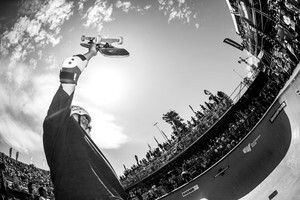 The Masters Division was a similarly heated contest, and was fronted by a crop of legendary rippers like Pat Ngoho, Darren Navarrette, Renton Millar and Lester Kasai. 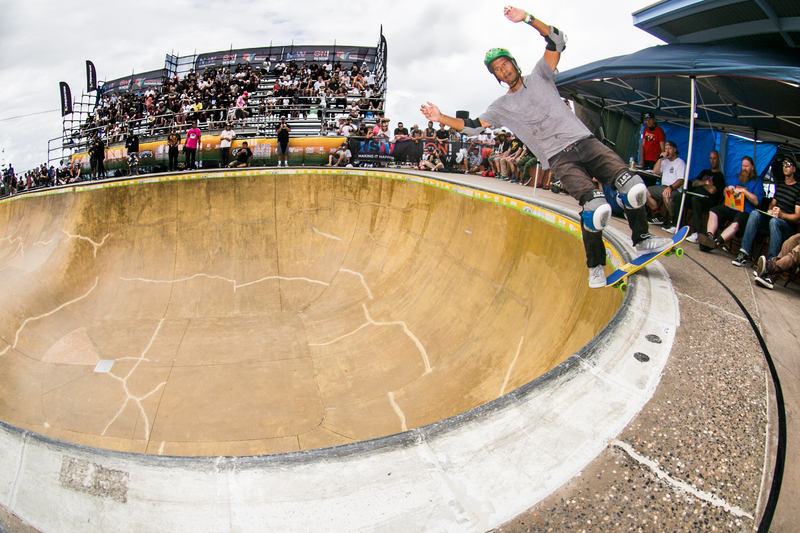 Renton has made this bowl his own over recent years, and despite finding himself on MC duty during the contest, was still able to put together an unbelievable run to earn another Masters title at ABC. 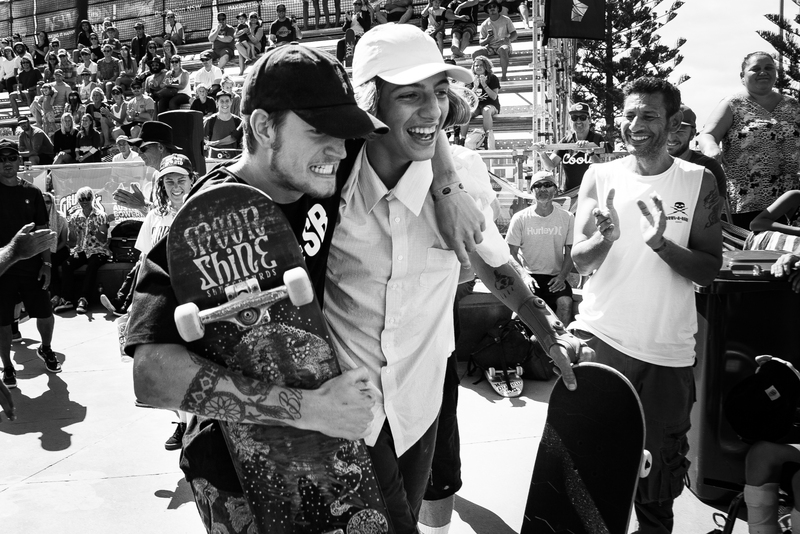 Decorated by his trademark backside ollies and Madonnas, Renton outclassed an in-form Darren Navarrette and stylish-as-always Pat Ngoho on his way to the crown. An Aussie legend in every sense. The girls always put on a show at ABC, and they were on fire again in 2017. Local girl Poppy Olsen was always going to be difficult to topple, and she showed once again why she was crowned bowl-riding world champion just over a year ago. Poppy's local knowledge was evident, as she found stylish and creative lines to pair with her signature bag of tricks. 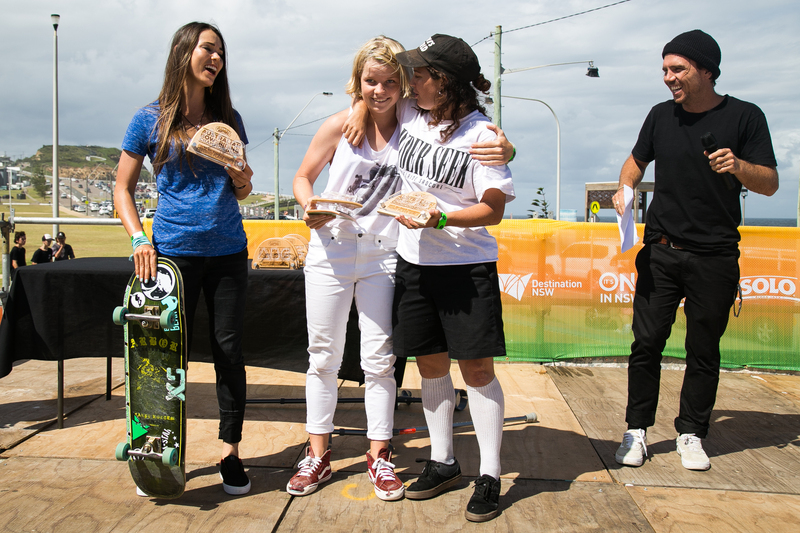 Polish shredder Amelia Brodka was again a tough competitor, claiming second, while Australia's Shanae Collins rounded out the podium in third. The women's podium was stacked with talent! 14-year-old Luigi Cini is on another level. Expect him in the Pro Division next time! The future of bowl-riding looks unbelievably promising, and that was again re-iterated at Bar Beach. The high level of Australia's younger crop was one particularly impressive observation, with 30 of the 31 junior competitors hailing from Australian shores. 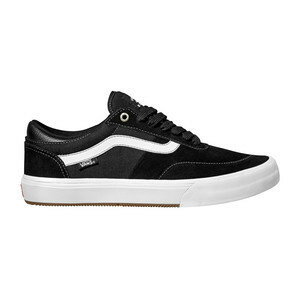 That one foreigner was Brazilian wonderkid Luigi Cini, who has already landed a 900 in a halfpipe at age 14, and was always going to be difficult to topple. Luigi came out trumps, but not without a fight from the likes of Kieran Woolley, Dylan Donnini and Jed Ragen, each of whom challenged for top spot at one point during the event. These kids are insane! Clay and Ivan celebrate another epic Australian Bowl-Riding Championship!